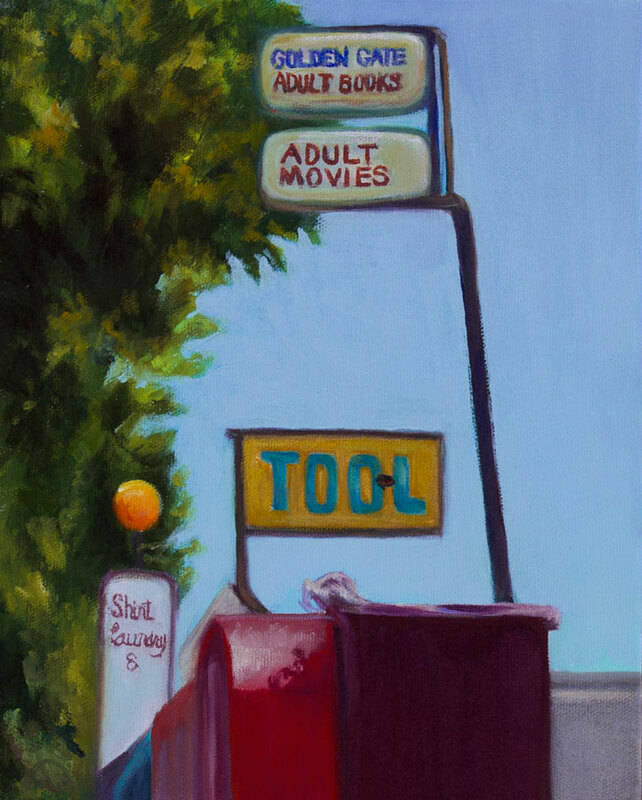 TOOL Adult Books and Movies, oil on panel, 10x8"
is the reward for discarding .. nada.. It is a great capture of urban living! Only goes to show that when I complain that I have nothing to draw, I’m just not looking! Well done! haha I love the title! But even more I love that painting.